I didn’t believe it when I heard it, but they told me that watermelon is excellent with tomatoes, mozzarella and basil. 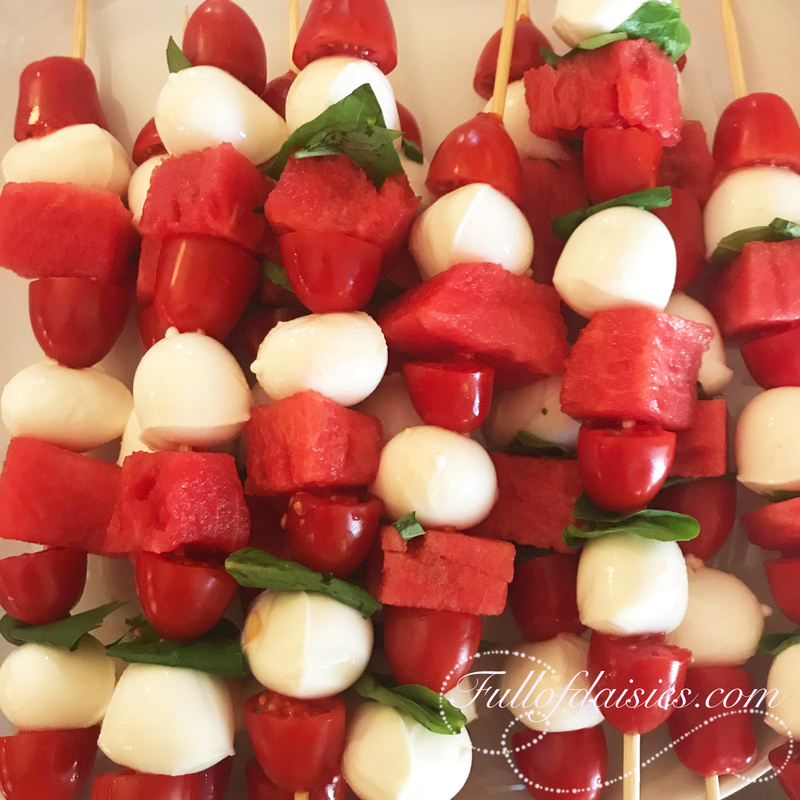 Believe me, watermelon is excellent with tomatoes, mozzarella and basil. We made these skewers for my father’s birthday party and everyone really appreciated them! We sprinkled them with salt and olive oil. Simple, original and healthy….what more could we want?